Can buildings readily be interpreted as cultural documents that encode attitudes towards children and their emotions? Or do they perhaps play a more active, dynamic role in the emotional construction of childhood? 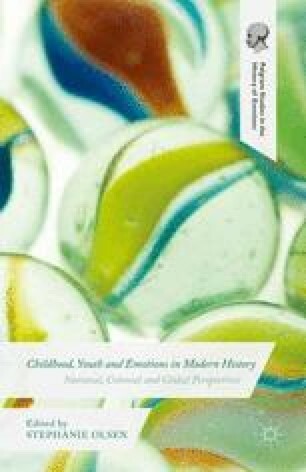 This chapter explores the place of architectural culture within the field of childhood studies and the history of emotions. The use of architecture as a document of emotional and childhood history was pioneered by Philippe Ariès. In Centuries of Childhood, he counterpoised textual documents with material artefacts such as paintings, clothing, toys and, pertinent to our subject, architecture to chart the historical development of a caring and loving sentiment towards children. He compared the layout of the medieval house with that of the eighteenth-century mansion to historicize the crystallization of the modern family as an emotional unit. The pre-childhood house was a heterogeneous social unit that was public in character. It was occupied by the master, his wife and their children, as well as servants and apprentices, and was frequented by a multitude of people. Consequently, ‘nobody was left alone’ in the house.1 With the advent of the modern ideal of childhood, which entailed a different emotional and caring attitude towards one’s children, there emerged a ‘need’ to separate the affairs of the family from the intrusion of others by rearranging the house into private and public zones. Ariès tied the specialization of rooms in the house, as well as the invention of the corridor, to such emotional ‘need’ for intimacy.